Food drive items from Charter Colony. As part of our ongoing Seasons of Giving program, HHHunt Communities is coordinating food drives in our Charter Colony and Rutland communities. 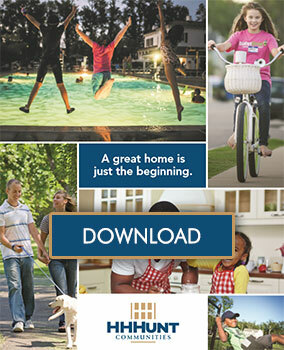 Food donations collected through these drives will benefit FeedMore and the Central Virginia Food Bank. Summer is an especially important time to collect food for those in need, especially children. During the summer months, many children do not receive regular meals because school is out and families are forced to seek support from the Central Virginia Food Bank. That’s where the food drives come in. By collecting food, we can help provide needed meals for those families. 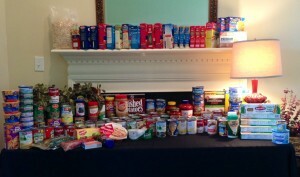 Our homeowners have been incredibly generous in providing support for the food drive, as the picture above demonstrates. Charter Colony, located in Chesterfield County, began its food drive earlier this month and has been busily collecting donations of food. The current total is close to 200 lbs. of food! Rutland, which is located in Hanover County, continues its food drive with requested donations this weekend at the kickoff of its Summer Concert Series. 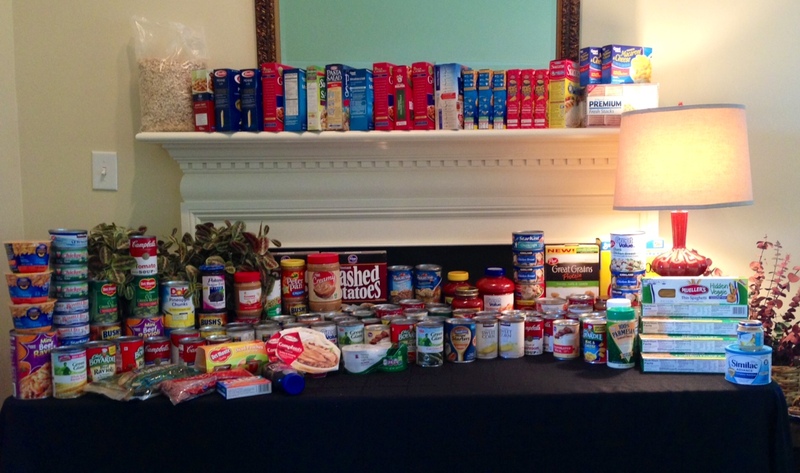 Thank you to all of our homeowners and employees who have participated in the food drive. Your generosity is awe-inspiring! Keep an eye on our Facebook page as we continue to update the progress of the food drives and share more pictures.